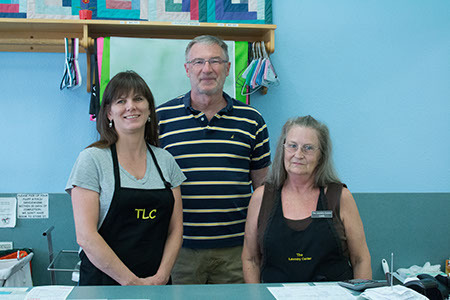 The Laundry Center is a full-service laundry and dry cleaning business. We are locally owned, serving the greater Rogue Valley. Our state-of-the-art facility fulfills all your laundry needs. We can dry clean everything from hats to a silk dress. If you want professional service and competitive pricing, we can take care of you. Our expert attendants offer everything from hand ironing to stain removal. If you have an item that needs special care, bring it to us and we will provide personal, gentle care. We can handle big and small laundry and dry cleaning problems; you’ll be surprised how clean we can get your laundry. We invite everyone to come in today and discuss their dry cleaning needs. Your clothing items are too valuable to be harmed by a broken laundry machine or improper care. By having your clothing professionally cleaned, you can save time and money in the long run.